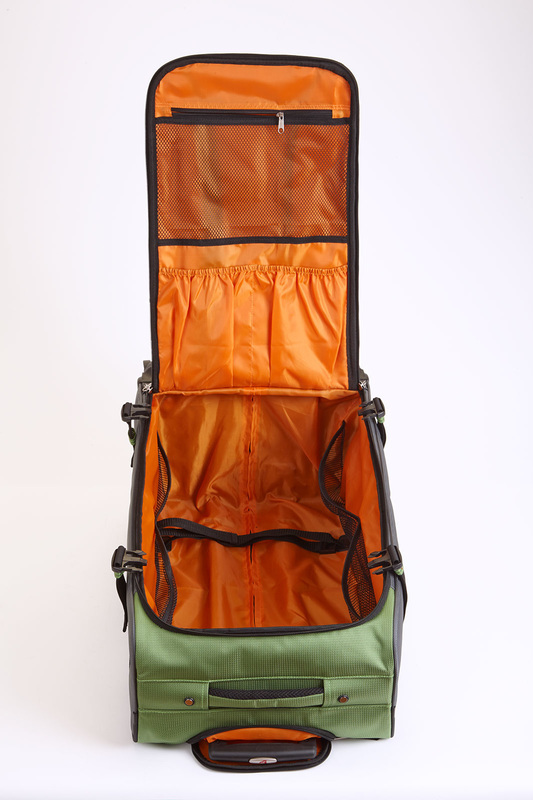 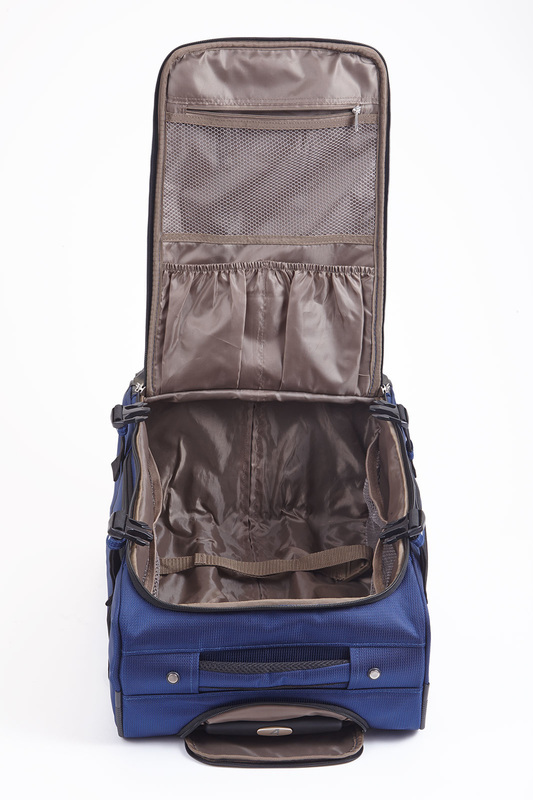 A versatile bag makes packing and traveling a little bit easier. 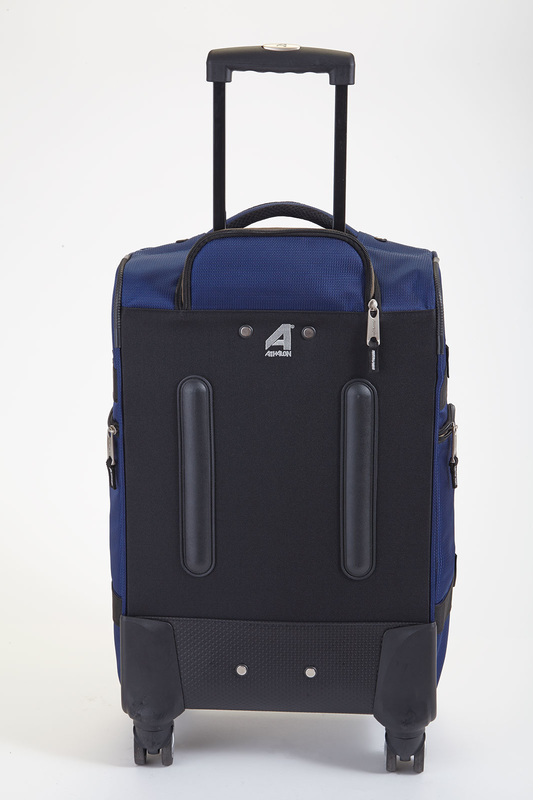 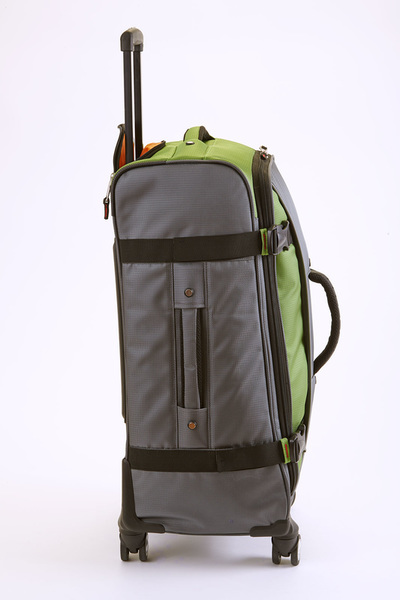 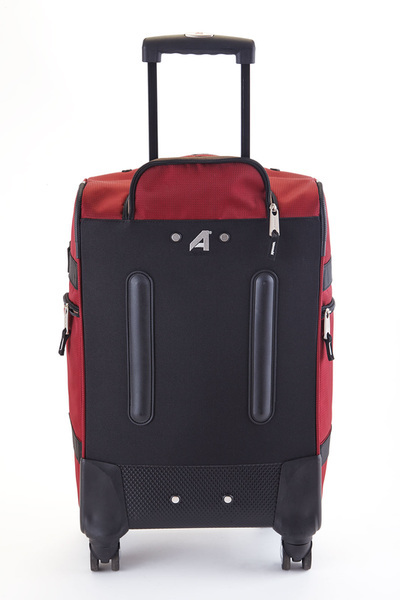 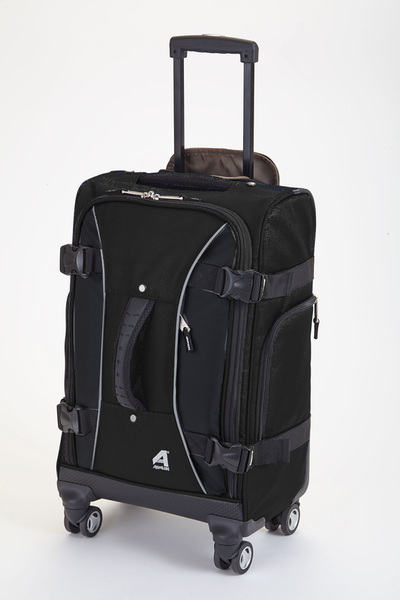 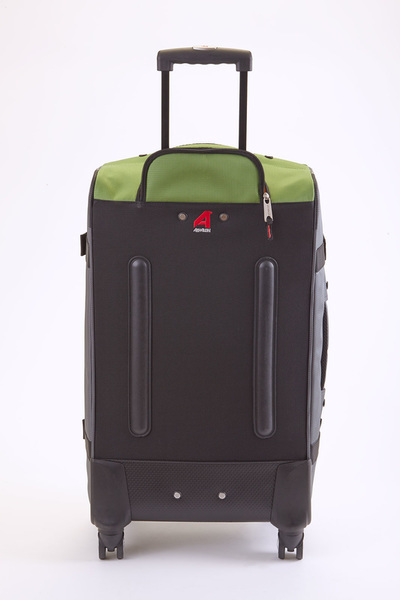 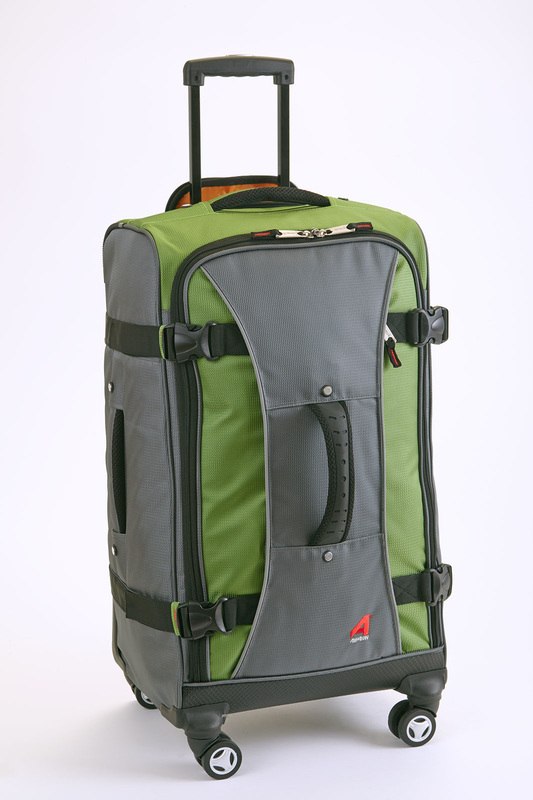 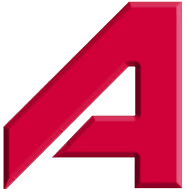 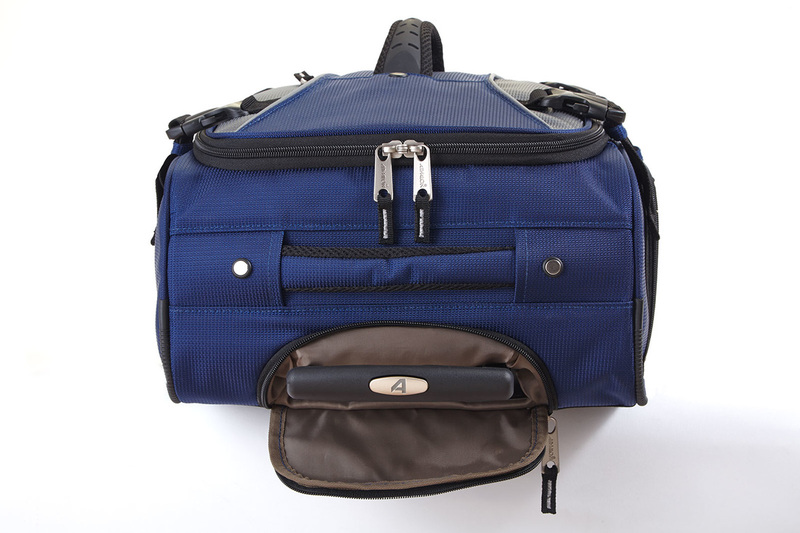 The Athalon 21" Hybrid Spinners Travelers rolling duffel is constructed from a durable denier/nylon blend and features a wide zippered opening that makes it easy to pack and unpack. 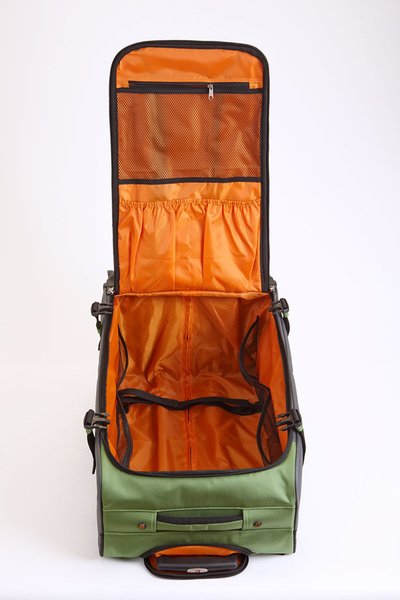 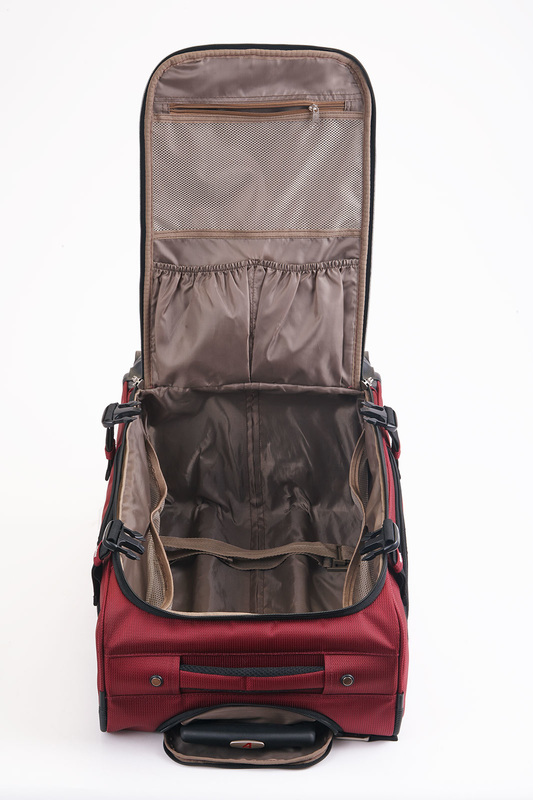 This rolling duffel has a roomy main compartment with tie down garment straps, side mesh pouches, a zippered mesh pocket, and an elastic lid pocket for shoes or accessories. 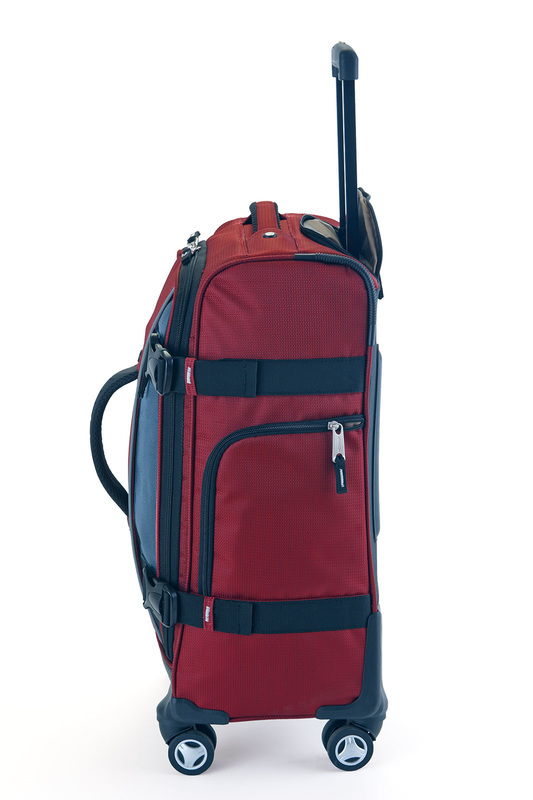 Top, front, and side ergonomic handles make it easy to lift this bag while in-line skate wheels make it easy to pull. 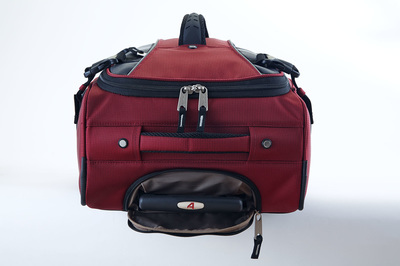 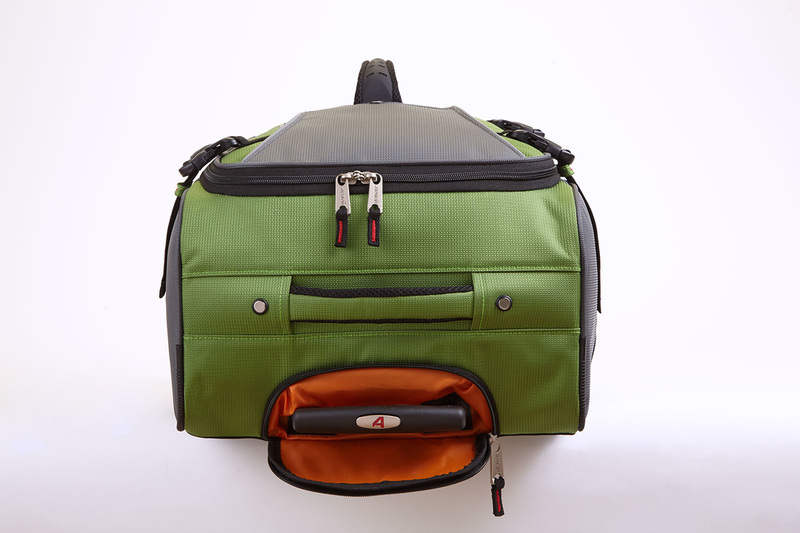 Other features of this case include a retractable handle, buckle side straps, contrast piping, and front feet that allow the bag to stand on its own.